Christmas came early in Cleveland. The tree was trimmed and the presents were wrapped as the pet parents left for an evening of seasonal fun just two days before Christmas. Turns out the fur family left at home had some festivities of their own in mind. 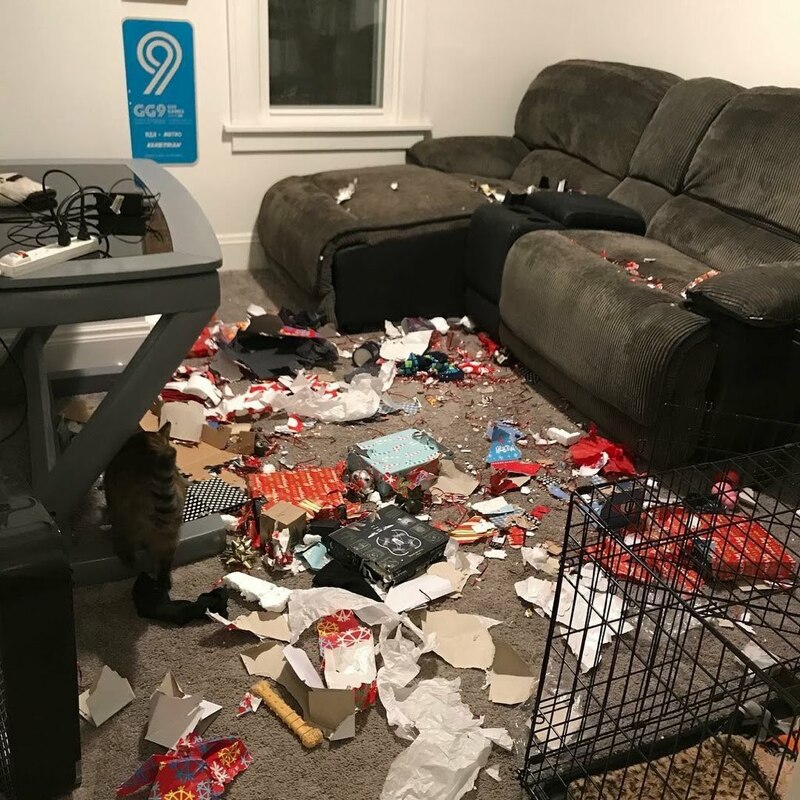 Arriving home from a night on the town, the pet parents were greeted by a scene that is sure to land the family dog a place on Santa’s naughty pet list. The cats claim innocence. The dog did it! Note Declyn surveying the scene. 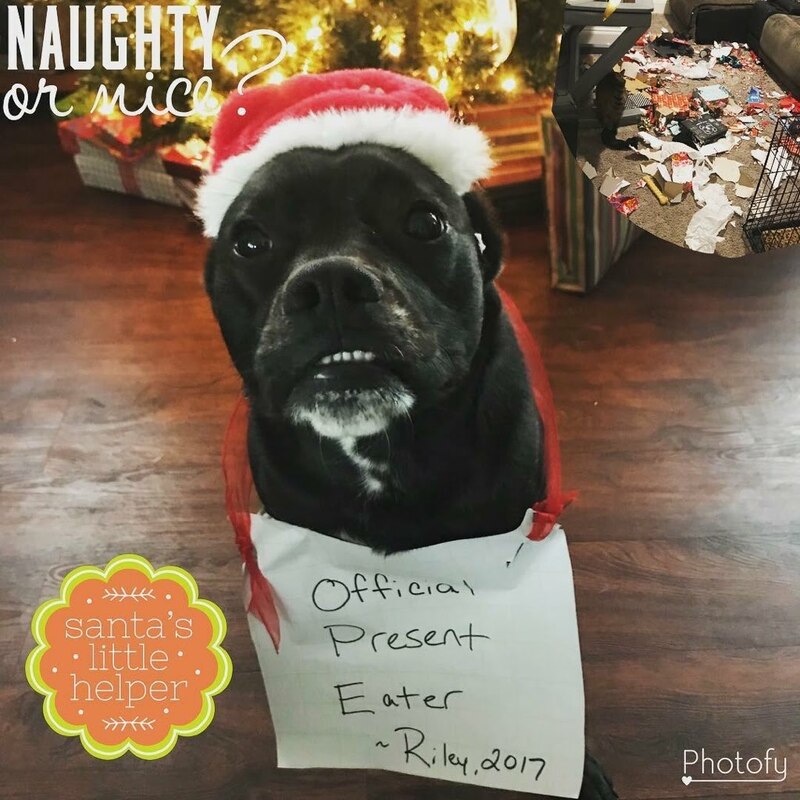 In her defense, Riley claims she was merely giving the cats a little Christmas cheer. She is also quick to point out that actual presents were not damaged, only the wrappings. Fair enough. 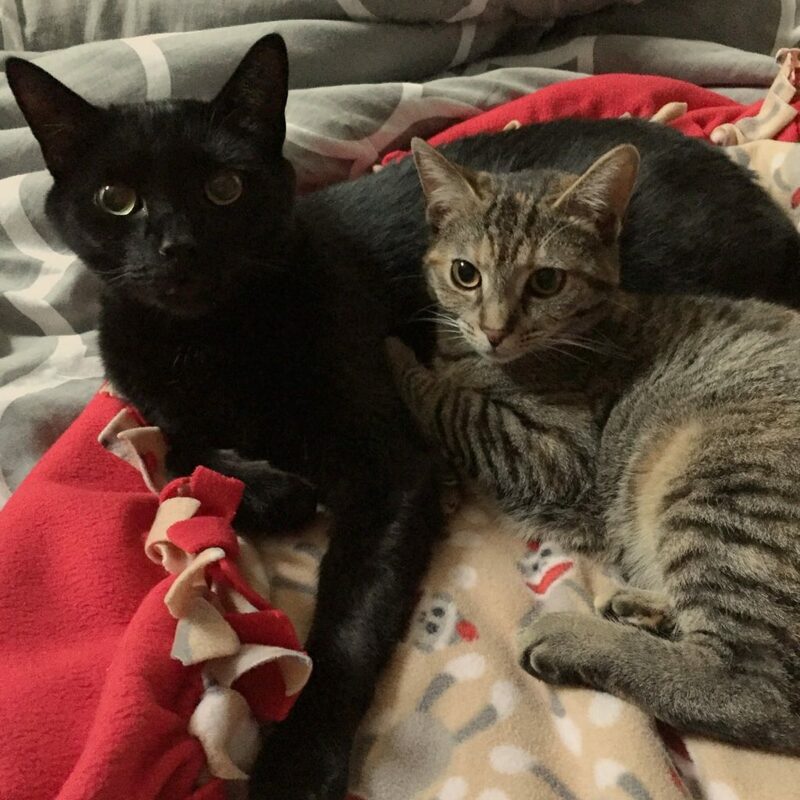 She also implicated the cats: “Declyn and Layla had a blast: dashing under the paper wrappings, racing through the ribbon scraps.” Remains of merriment nonetheless seem conclusive. Innocent bystanders? Or partners in merriment? Dad Josh reports that it is impossible to share a family photo of Riley, Declyn, and Layla; the cats refuse to pose with the dog. Sigh. Wishing you peace and joy in the new year, pet peoples!